An uncommon cancer that can affect the human body is bone cancer. Bone cancer can begin in any bone in the body, and there are several types. Typically the long bones that make up the arms and legs are affected most. Some bone cancer mainly affects children, while others are found most commonly in adults. These types of cancer are called bone cancer because they begin in the bone, rather than beginning elsewhere in the body and metastasizing, or spreading, to the bone. Yes, the most common symptom of bone cancer is bone pain, which usually begins with a feeling of tenderness in the affected bone. The tenderness gradually advances to a continual ache or one that affects the sufferer at night and when resting, then is gone periodically. For people with an undiagnosed tumor in the bone, a usually minor injury can result in a bone break. This causes severe pain and is known as a pathologic fracture. For those who have bone cancer, pain can be confused with arthritis for older people and growing pains for children and teens. If the cancer is in the neck, a lump may develop in the back of the throat. This can lead to trouble swallowing or taking deep breaths. Swelling may occur where the tenderness is, although this could take weeks to develop. 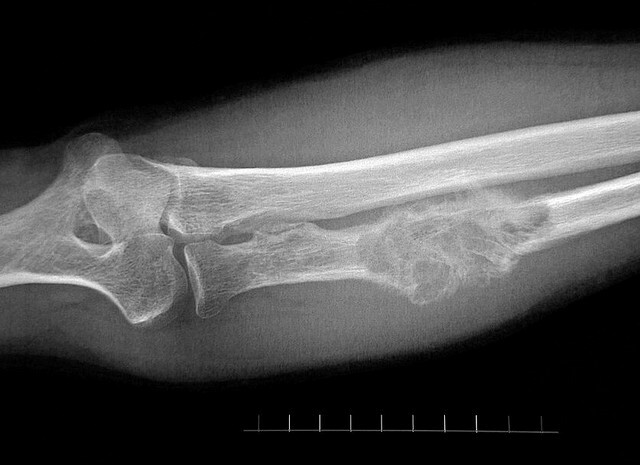 Weakness in the bone can develop, although fractures are not common. A fracture can occur near the site of the bone cancer, causing sudden severe pain in the area where the tenderness has been for months. Tingling, weakness or numbness can occur where nerves are compressed by the cancer, particularly in bones in the spinal area. Consistent tired feeling, weight loss and even trouble breathing can be linked to cancer, depending on the area where the cancer is affecting the body. A limp can occur if bones of the leg are stricken with cancer and a break or fracture occurs. Some less common side effects like a high temperature or sweating, usually at night, can occur. What About Cancer Spreads to the Bone? Does It Hurt too? For those that have cancer that has spread to the bone, pain is a typical result. The pain can occur where the cancer has metastasized or in areas surrounding it. Greater pain may occur at night or during rest periods. However, the opposite may also be true, where the pain is present during movement and subsides when you are at rest. Pain tends to be the most common issue for people who have cancer spread to the bone, which means that "yes" is the answer to "Is bone cancer painful?" Producing substances that weaken or even dissolve bones, increasing the risk of a break. Affecting the nerve endings around the bone when the tumor is growing inside the bone. Causing sclerosis, which hardens the bones. While pain is usually related to cancer, it is not always the case. It is possible to have pain related to other conditions that occur separately from the cancer. Knowing which pain is related to the cancer and which could have another cause is important. Keep in mind that pain related to cancer continues and is regular, while pain related to other conditions can typically come and go. Consult a doctor to discuss any new pain that occurs while dealing with cancer. 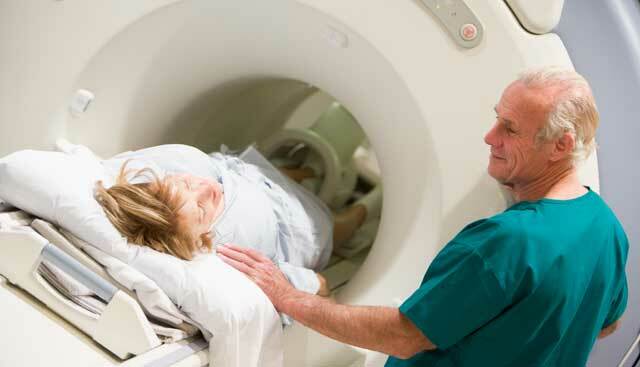 Diagnosis of a bone cancer is more complex than whether or not you have cancer. It is necessary to diagnose cancer in stages. This provides an idea of the progression of the cancer and how much of the body is affected. It also is important to know what stage the cancer has reached in order to determine the treatment options available and the time frame when those treatments need to be implemented. Stage 2: At this point, the cancer is potentially a threat to tissue surrounding the affected area. This means it could become invasive. Stage 1: At this point, the bone cancer is affecting the bone only, with no spread. Some people wonder "is bone cancer painful at this stage?" Sometimes yes, sometimes no. Stage 3: At this point, the cancer is invasive and has spread from its original location to other areas of the bone. Stage 4: At this point, the cancer has spread from the bone to tissue and other organs in the body. There are many tests that can be done to determine the stage the cancer has reached, including blood tests, biopsies, bone scans (check condition of bones) and imaging scans like x-rays and CT scans. These scans give an in-depth view of the bone structure and can determine the spread of the cancer. Once all of these tests are done, a full idea of the cancer and its effect on the body can be attained. Why Are My Legs Falling Asleep Often?